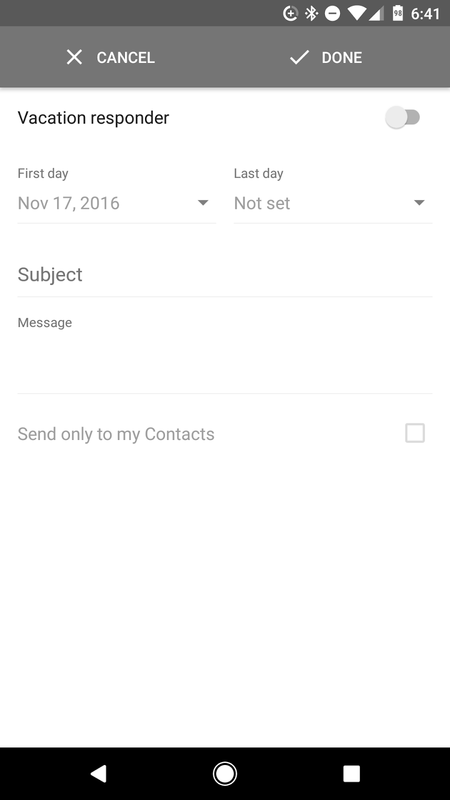 Update 11/17/16: After receiving an Inbox by Gmail app update yesterday, I noticed a new feature in the app that helps users set Vacation Responders from within Inbox. If you navigate over to the settings in the app, there is a new option called Vacation Responder. Here you can turn it on, set the dates, subject, and message to be sent to people that email you while you are away. What is especially nice about this is it works in conjunction with classic Gmail. 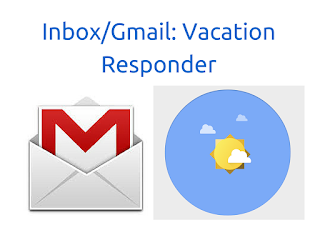 So if you set the vacation responder in the Inbox App, it will also set the vacation responder in classic Gmail. In addition, if you enable and set the vacation responder in classic Gmail, it will carry over and show in the Inbox app settings as well. It should be noted, however, that this setting is only in the Inbox by Gmail app and not on the desktop version at this time. Hopefully it will show up eventually in desktop as well. Also, the video below is still relevant for those using the desktop. 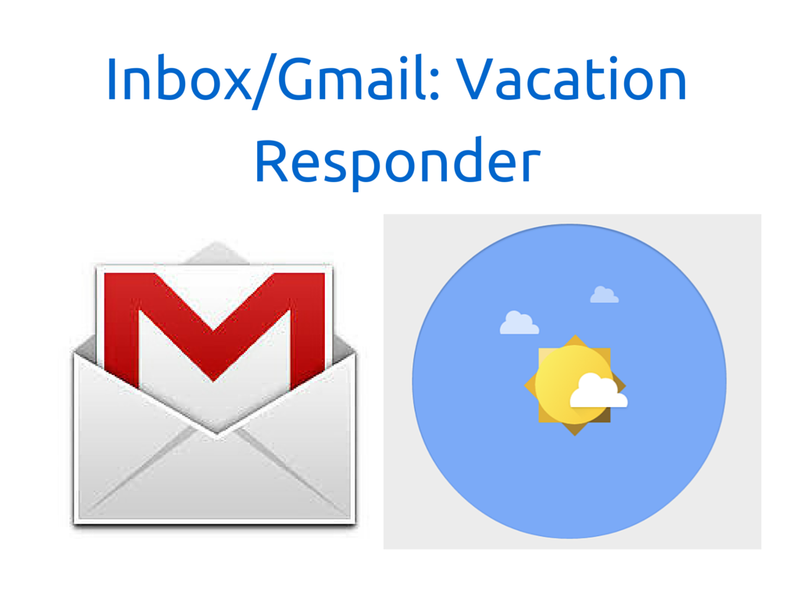 I get a lot of questions about how to setup a vacation responder in Inbox by Gmail. Given that Summer is here and people will be taking lots of vacations, I thought now would be a great time to explain how this is done. I think this is best described using a video, which you can view below. 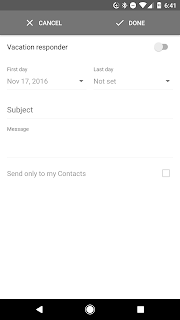 However its important to know that Inbox by Gmail does not have the capability to setup a vacation responder. Instead, you would set this up using the classic Gmail settings. As with many of the classic Gmail settings, anything you do there will be reflected in Inbox by Gmail. Take a look at the video and book yourself a vacation, will ya ;).